The European Space Agency (ESA) has awarded a contract to Inmarsat as the Prime Contractor for the new “PACIS-6” Govsatcom Precursor project. The Inmarsat-led initiative will develop and demonstrate a pooling and sharing (P&S) platform that will enable European Government users and European Union (EU) agencies to access secure, affordable commercial satellite services; augmenting government-owned SATCOM capabilities. The project will demonstrate to government users how to access secure capacity from Inmarsat’s unique Global Xpress (GX) constellation; the world’s only commercially available global Military Ka-band satellite network. The Govsatcom PACIS-6 consortium, led by Inmarsat, includes cyber security and digital transformation specialists CGI, and government solution & application specialists AnsuR and Teamnet. The ESA awarded contract is designed specifically to address the requirements of European governments for satellite communications that can augment and enhance their existing operational capabilities. This is of particular importance in supporting crisis response agencies, border security, diplomatic networks, disaster response, critical infrastructure, and peacekeeping missions. Andy Start, President of Inmarsat Global Government, said, the company is already a major SATCOM service provider to many European governments via our highly reliable, mobile L-band network. 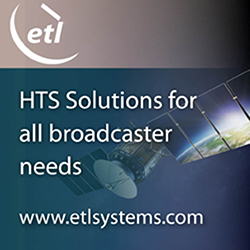 These SATCOM solutions include mission critical services such as L-band Tactical Satcom (L-TAC), and our commercial and military Ka-band network powered by Inmarsat’s Global Xpress High Throughput Satellites. The company's satellite access stations in Holland, Italy and Greece support the delivery of these services to the firm's European customers. Inmarsat is delighted that ESA has selected Inmarsat to help shape the ESA Govsatcom Precursor program. This ESA / Inmarsat partnership will enable a new open platform for pooling and sharing of innovative and secure satcom services for European agencies and governments. Carlo Elia, Head of Telecommunications, ESA said that the ESA Govsatcom Precursor Program is developing new government satellite communications service concepts. Intelligent management of commercially provided SATCOM services is expected to be a key pillar for providing competitive global secure SATCOM services including such services in support to European institutional needs and a future GOVSATCOM. ESA is pleased to be working with Inmarsat on this program.